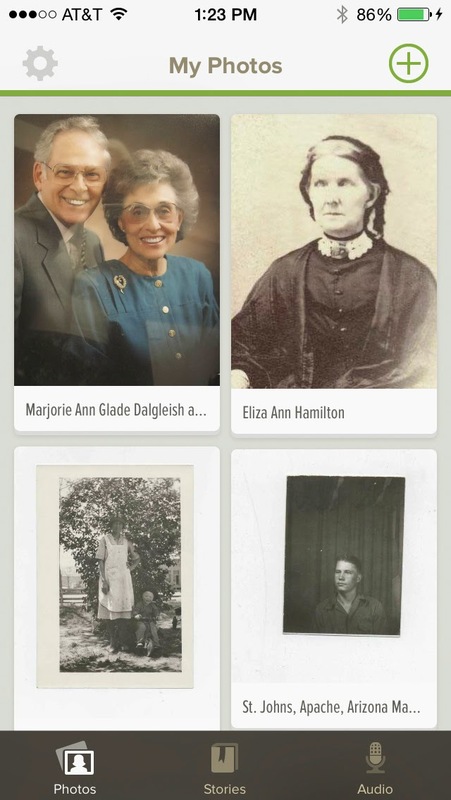 Two new FamilySearch.org official apps have been added to the Apple App Store today; FamilySearch Tree and FamilySearch Memories. Both programs have some of the basic features but in the online version, of course the two functions are integrated. 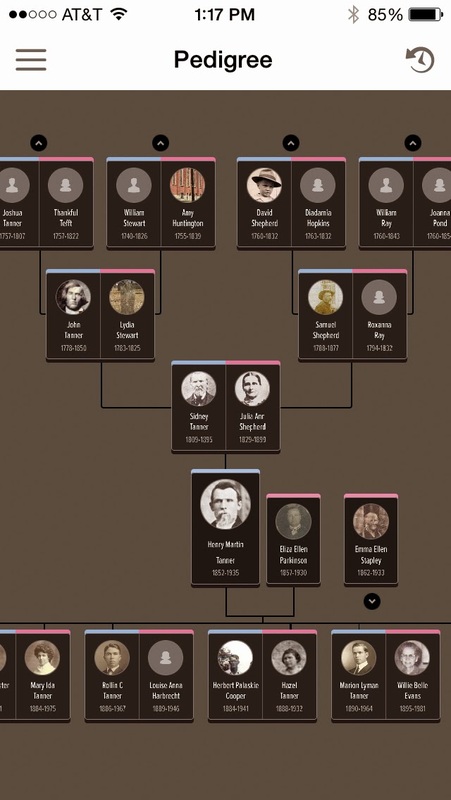 Because I have a lot of photos in Family Tree Memories, it took a while to load. One advantage I could see immediately was the ability to take a photo with the iPhone camera and upload it directly to memories. But the Memories program seemed to be rather limited on first view. Of course, it is brand-new app so changes will undoubtedly come. 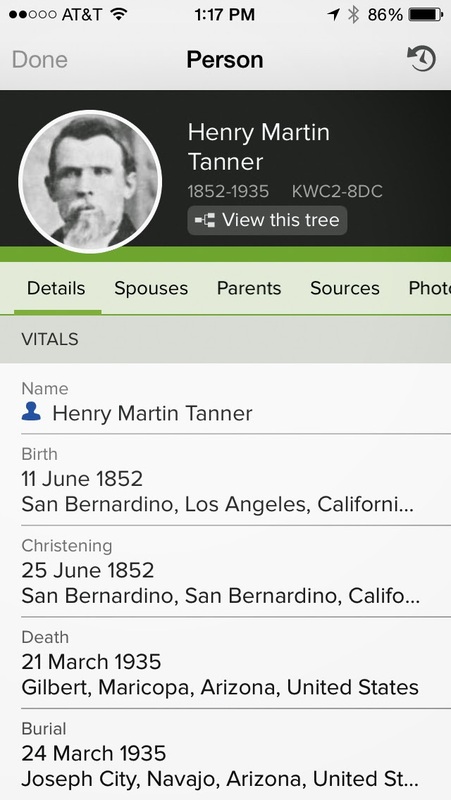 If you would like another opinion of the new programs, take a look at Randy Seaver's post entitled, "First Look at the FamilySearch Family Tree Mobile App." This is the sign in screen for the Tree app. 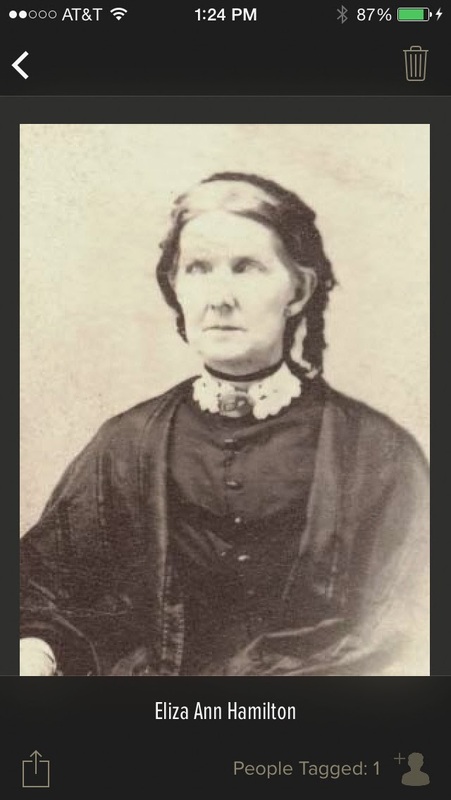 You use your FamilySearch account login and password. The app seems to come up in Photo view. 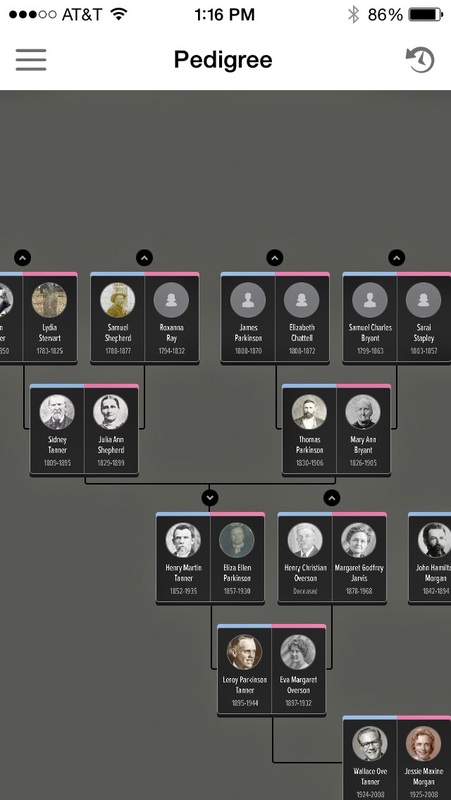 I didn't see any other way to view the Family Tree. The Settings menu was rather scanty and simple. I assume other preferences will be added in subsequent versions. This is an example of a Details Page. 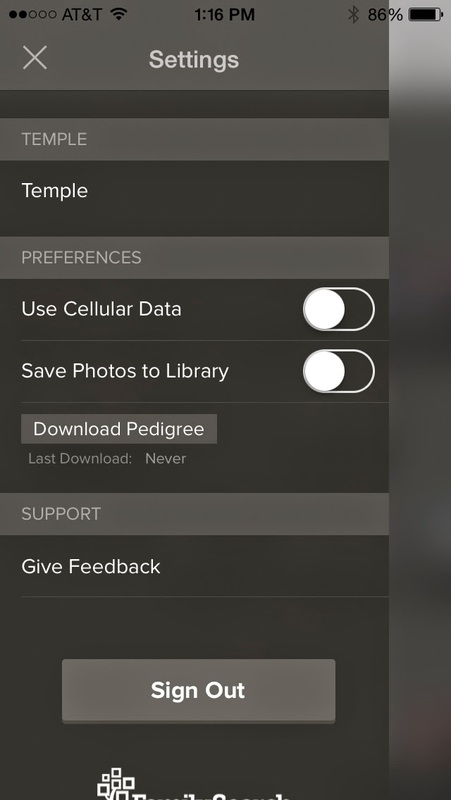 It looks like other views are available through menu items. Probably a good choice of features. You can switch to put the current person in the No. 1 position, but the app is limited to this particular view, as I mentioned above. It took a couple of minute load all of my photos. You could add a photo and otherwise the app was much more limited than the desktop program. 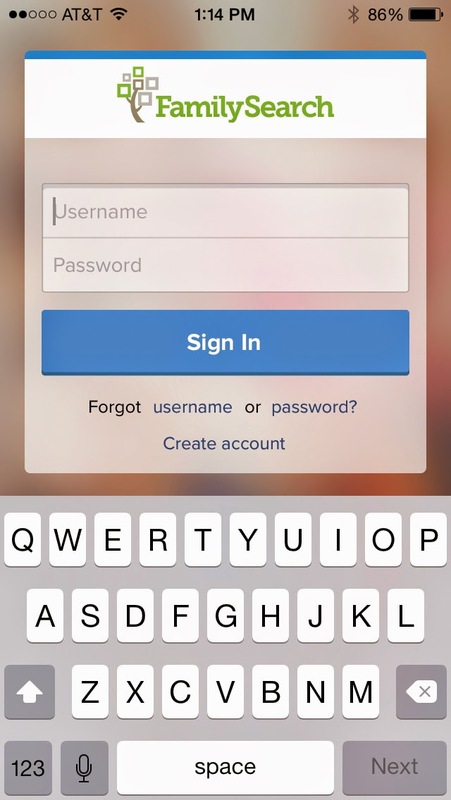 You can view a single file in the Photos Section, but nothing more. I expect both programs will change over time. Right now they are interesting and the programs seem to be poised to supply more features. A post sharing with proper images is better than that post which has only thin text. So thanks for the sharing and just keep the good work. Nice post and your app are very useful for connecting with family members. Presentation is attractive.